There is no doubt about the perks that traveling can offer, especially during times when one simply needs to escape from an extremely hectic schedule of managing a business. With all that pressure—meeting targets, overseeing operations, and conducting meetings, among other tasks—can easily burn you out. So how do you cope with such demands? Get away from your office even for just a few days. Waking up to a new environment can help boost your immunity, relieve stress, enhance your creativity, make you happy, and improve your ability to focus on work. Going on a vacation can also recharge your mind, body, and soul so you’re ready to take on that next big decision. If you’re planning a “me-time” soon, we recommend these five must-visit wellness places where you can relax, forget your to-do list, and feel rejuvenated. About an hour away from Manila, The Farm at San Benito is a lush escape found in Lipa, Batangas. The resort transports you to a secluded paradise where you can forget your worries and focus on your healing journey. Aside from its relaxing accommodation options, The Farm also offers a number of wellness packages—from health optimization and executive health, to cellular health and other treatments. Book a Holistic Wellness experience, a retreat that focuses on clean living and getting rid of toxins in the body. You can also look into a life-changing holiday that prioritizes vigor and vitality as you embark on yoga, meditation, power walks, and health talks, to name a few. Check out The Farm’s list of services and programs for more options. The Farm at San Benito is located at 119 Barangay Tipakan 4217 Lipa City, Batangas. 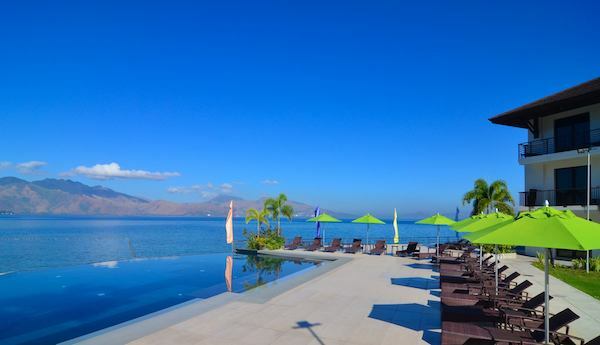 If you think you’ve seen and done it all in Subic, Kamana Sanctuary Spa Resort will give you another reason to see this go-to vacation spot in a new light. Take your mind off work and deliverables by enjoying the different activities offered at the resort. Challenge yourself by trying kayaking, Frisbee, and beach volleyball. You can also go snorkeling to take in the wonders of the sea. After a full day of fun activities, head to the spa to avail of one-hour massage services like full body massage, shiatsu, Swedish, and foot massage. Kamana Sanctuary Spa Resort is located in Ilanin Forest West, Subic Bay Freeport Zone, 2222 Bataan. El Nido is a dreamy paradise that you’d love to keep coming back to even if you’ve been there a dozen times. Marvel at the different islands you can visit through guided tours, or simply relax and relish being one with nature throughout your stay. A perfect place where you can do just that is El Nido Mahogany Beach Resort, which takes pride in offering wellness activities and an unforgettable vacation in a lush tropical setting. Tailor your experience by choosing an accommodation that suits your needs. Splurge and reward yourself in a villa with a garden view, or stay in one of the bungalows nestled within coconut trees and lush gardens. El Nido Mahogany Beach Resort is located in Corong Corong, El Nido, Palawan. Cebu City doesn’t run out of things to surprise visitors with. If you haven’t been to Badian Wellness Island Resort yet, there are plenty of reasons why you need to book your trip pronto. While Cebu is teeming with tourists, Badian offers exclusivity as it’s located on an island on the southwest coast of Cebu. “The villas are inspired by traditional Filipino designs. Natural attractions like Kawasan Falls, Pescador Island, and the Sardine run experience are only twenty minutes away from the resort. The resort also has its own marine sanctuary, which is perfect for snorkeling,” relates David Cinco, sales and reservations manager. There are also different services that can help relieve your tired mind and muscles. If you’re into unique experiences, try the Seaweed massage, which uses seaweed gel on the face and body to keep the skin hydrated. There’s also Pure Indulgence Treatment, a three-hour experience that involves different rituals guaranteed to rejuvenate the body. Badian Wellness Island Resort is located on Zaragosa Island, Badian, Cebu City. Get equal doses of relaxation, adventure, good food, and the beauty of nature when you choose Eden Nature Park as your next wellness destination. Make the most of your stay by availing of the recreational activities found around the park. If you’re an adrenaline junkie, check out the Skyswing, Skyrider, and Skycycle. For something rewarding that doesn’t involve rising heart rates, visit the Flower Garden, Hiking Trail, and Butterfly Garden. Once you’re done enjoying the facilities, retreat to a roomy and serene accommodation that also has a calming view of nature. Eden Nature Park is located at Brgy. Eden, Toril, Davao City. Don’t hold out on rewarding yourself. Book a trip to one of these lovely destinations as soon as your schedule frees up. After all, a busy bee like you deserves to unwind. Want more ideas on running your business minus the stress? Sign up to Globe myBusiness Academy for more tips.